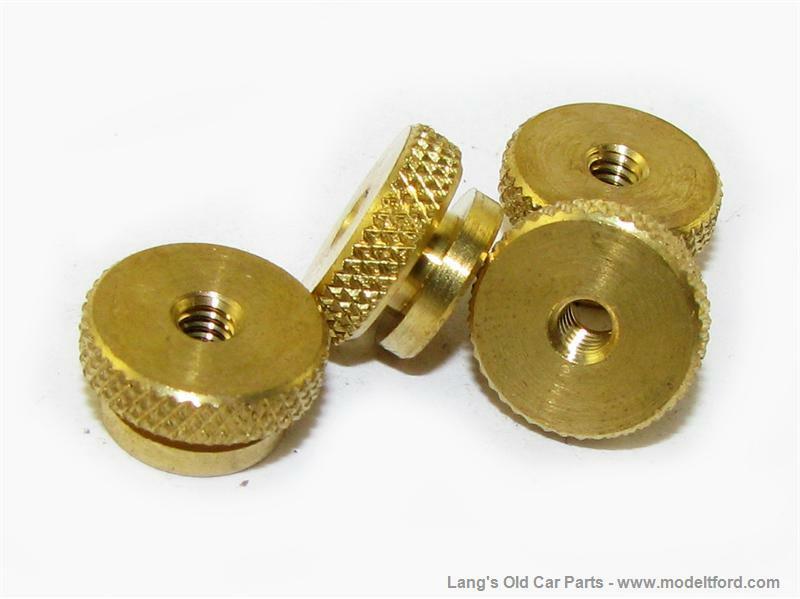 Set of 4 brass thumb nuts. These nuts fit only the early ORIGINAL Champion X spark plugs. The 5/40" Thread on the top stud is noticeably thinner than the later style original or reproduction plugs.